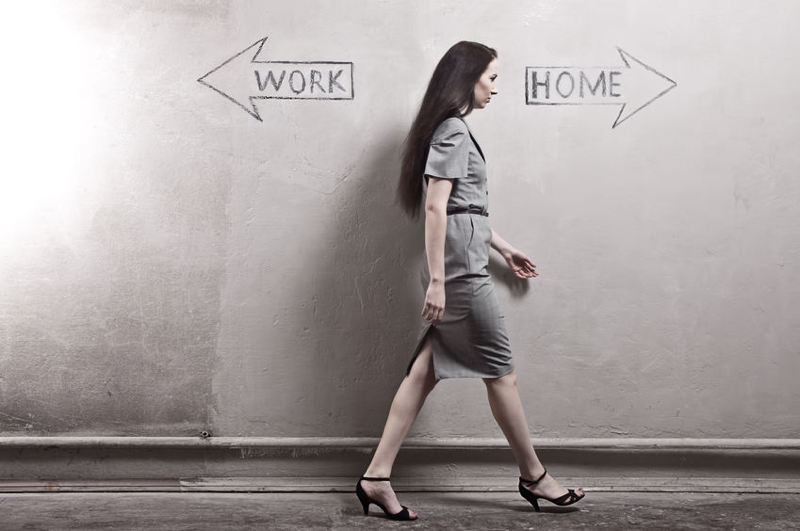 Are you one of those people who seems to end up doing everyone else’s job at work? Perhaps you’re the nurturing type everyone comes to with their problems, including work issues. Vital tasks don’t seem to get completed unless you get involved, regardless of whether it’s your responsibility or not. What’s happening here is that you’re bringing your “personal persona” to work with you. That’s the caregiver and family person you are at home – the one who’s always taking care of others and ensuring that everything runs smoothly. Trouble is, that’s not the person you need to be at work. You need to increase your awareness and understanding of your “work persona” – the person with the skillset, discipline and drive to do the very best job for your specific job function and responsibilities, not someone else’s. That, of course, does not mean you should not be helpful and lend a hand from time to time when it’s call for, but you cannot assume others’ responsibilities and expect to handle your own to the best of your capabilities. And that means learning to say “no” in some cases. Before we explore this further, perhaps I should define “persona” in case you’re not familiar with the term. A persona is the role an individual assumes or the characteristics ascribed to that individual by others. Let’s be clear here – we’re not talking about playing mind games with the people around you and pretending to be someone you’re not. Simply put, your personas are the collective characteristics that define who you are in a specific situation – such as at your place of work or in the privacy of your own home. For example, your work persona is defined by the training, skills, and insight you need to perform your job and fulfill your responsibilities to your employer or employees, depending on your title and role. It is who you are as a breadwinner. It has nothing to do (or at least very little to do) with your private, personal preferences and interests. Your personal persona is about you as, well…a person. In other words, the things that interest you personally – from family, hobbies, politics, and religion to fun and games, social interactions, and topics of interest. The things that help you grow personally, find meaning, and gain insight over your lifetime. It should come as no surprise, then, that these are not necessarily things that will help you earn money and make a living. They’re the stuff of living that makes you the person you are outside of work. Here’s where journaling comes in. It can play a major role in helping you discern the difference between your work and personal personas and help you define them more clearly so that you can separate them and nurture them individually. Too often, people can lose sight of their personal personas, focusing instead on their work personas as they build their careers and chase success, money, and advancement. Balance is lost as the personal persona languishes, overwhelmed by the work persona. Journaling helps a person explore his or her work and personal behaviors and how they affect – and are affected by – their personas. Journaling enables an individual to examine and understand their two personas separately for clearer insight into how and why they do the things they do at work and at home. Therapeutic journaling is a powerful tool for sorting out your two lives – work and home. Through journaling, you can separate your work and personal personas and look for solutions to sticky situations without distracting outside influences. Regardless of your place in the workforce or where you are in your career – just starting out or heading toward retirement – journaling can help you optimize your work experience while making the most of your personal life. If you want to learn why exploring your work and personal personas is essential to your growth and well-being, please download the free eBook titled The Journaling Guide to Manage The Stress and Strains of Life. When you are truly passionate about your career, there are no limits to what you can achieve. 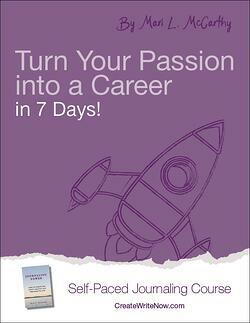 Our Turn Your Passion Into Your Career in 7 Days self-paced journaling course takes you on a valuable journey to get to the heart of what drives you—and helps you turn your passions into your career.